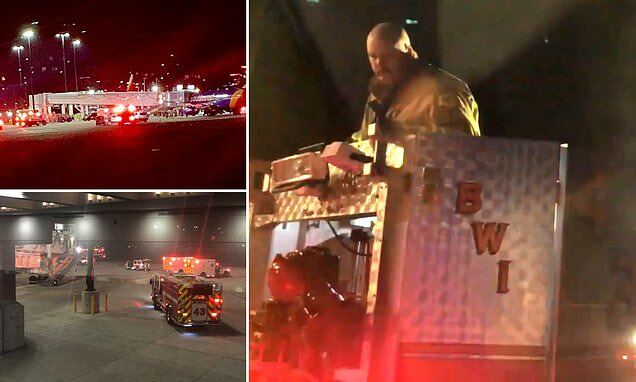 Local officials say at least six people have been injured on Saturday after a jet way collasped at the Baltimore Washington International Airport. The collapse occurred just before 8pm, according to authorities, and the six people are said to have non life-threatening injuries. 'Partial equipment failure involving jet bridge at #BWI Gate E-10,' said the BWI Marshall Airport Twitter page. Southwest flight 822 was said to have had a medical emergency and during the assist was when the jet way suffered its issues. The Anne Arundel County Fire Department also shared that they were assisting with the incident.